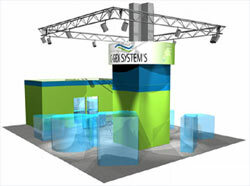 Vector Displays has both trade show booth rental and trade show booth purchase programs. Vector Displays also provides trade show exhibit design, fabrication, round-trip freight, installation and dismantle, and storage services. We provide complete turn-key service that allows trade show exhibitors to arrive minutes before a show begins and leave immediately after a show. With the high cost of shipping to the U. S., the services that Vector Displays offers trade show exhibitors are an especially attractive alternative for companies not based in the United States. Rather than incurring the expense of building an exhibition stand in your country and then shipping it to the U. S., Vector Displays can build your exhibition stand in the U. S. and ship it locally to your show at greatly reduced costs. Because of current transportation and building material cost increases and economic uncertainties in the U.S., our trade show exhibit rental program is an attractive option that many of our clients are using to lower their exhibiting costs. If your organization attends a variety of trade shows in the same industry throughout the year, renting is an option. Renting keeps your company's exhibit fresh at each show and eliminates the staleness of your customers seeing the same booth show after show. Another option through the rental program is to purchase the basic unchanging components of a booth (reception counter, plasma monitors and stands, counters, banner stands, display shelving, etc.) and rent various ancillary items for the different shows to create variety. Renting also saves our clients handling and storage costs between shows and reduces refurbishing costs. Vector Displays also now offers affordable pop-up displays for sale or for rent in an assortment of colors and sizes. We are also able to provide banner stands, print graphics and literature, graphic design services, custom shipping crates, and other related trade show exhibition services. 8:00 a. m. to 5:00 p. m. Eastern Standard Time. After hours and on weekends, calls are forwarded to the cell phone of the staff member on call. When is your shipping/receiving department open? 8:00 a. m. to 4:00 p. m. Eastern Standard Time. Act:answeritional hours may be arranged if needed. Can you help with my trade show marketing program? Yes. We partner with experienced advertising and marketing agencies and design shops to help you meet your trade show marketing goals. Yes. 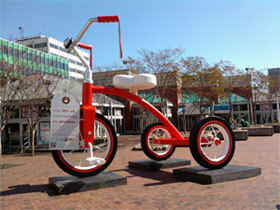 Our inventory of exhibits changes constantly. Please call or e-mail us to see what is currently available. Yes. 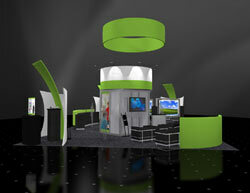 We have a variety of lightweight pop up and custom exhibits in stock as well as individual booth components for rent. We constantly act:answer to our rental inventory, so call or e-mail us to find out what is currently in stock. Do you provide onsite show supervision? Yes. We not only provide onsite show supervision, but we also can provide onsite installation and dismantle labor. Do you design store window displays? We do not currently offer store window design services, but we can help you with the manufacturing of store fixtures and retail counters. Do you do international shows? Yes. We have clients that regularly participate in shows in Europe, South America, and Asia. Yes. We have a graphic design team who can work closely with you. Charges are based either by the project or on an hourly basis. Can you produce my graphics? Yes. We have a graphics production team for printing on solid surfaces, vinyl, and fabrics. Why should I use a full-service exhibit company? Like almost everything else in life, at first glance it appears that a turn-key, all-inclusive service is more expensive than receiving services "a la carte." However, this is not usually the case. Vector Displays can work with you from the initial conception and design stage of your exhibit to the actual show experience. Our all-inclusive price includes the following: the rental and/or purchase of custom booth components, the lighting, the graphics and other signage. We also complete the forms for the various show services including drayage, electric, air, Internet, water service where necessary, rigging, cleaning, and shipping to and from the venue. We also provide ancillary materials and literature and supply and supervise the labor to install and dismantle the booth at the show site. With Vector Displays, if something unforeseen arises, you need to make only one phone call to your Vector Displays representative. We deal with the freight carrier to determine where your freight is and when it is arriving. If the graphics on a banner are not correct or you are unhappy with the type size, we handle that call, too. If you arrive at the show only to find your booth has not been set up, we will make the call to handle the problem. In other words, your only calls are to us. We will ensure that your trade show exhibit experience is exactly what it should be. By letting Vector Displays handle the details, you are free to meet your potential clients and network with existing clients. Rather than fretting over the details, you can spend your time and energy having the most productive and profitable trade show experience possible. Why should I consider using a turn-key trade show solution? Your company’s primary goal is to attract new customers and retain your existing customer base. This goal is often achieved by exhibiting at desirable trade shows. Rather than overloading your marketing department with all of the work necessary for a successful trade show experience, try using Vector Displays, a turn-key trade show solution. You and your marketing department can then focus on attracting new customers and retaining and growing your present customer base. We accept Visa, MasterCard, American Express, Check, or Money Order.